·From: M4 Motorway. 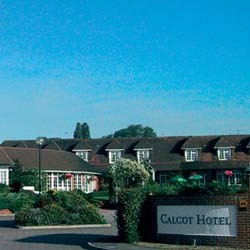 Take Junction 12 towards Reading, the Best Western Calcot Hotel is located one mile on the left. ·From: Reading Take the A4 towards Newbury, hotel is four miles on the right before the M4. Wyborn, on premises, Full Service, International, Open for: breakfast, lunch, dinner, English/International. The Best Western Calcot Hotel is a popular, well established, 3 Star hotel ideally situated less than 2 mile form the M4 Junction 12 (Reading West). This recently refurbished 78 room hotel is perfectly located for visiting Reading, Bracknell, Wokinham, Newbury, Henley and all corners of the Thames Valley. Heathrow Airport is less than 45 minutes away.At the Best Western Calcot Hotel a large flood lit car park awaits guests who can enjoy international cuisine in the informal Wyborn Restaurant, regular entertainment in the Kennet and Avon Suite and a relaxed atmosphere in the Old Berkshire Pub.